Tips and Tricks on preserving your memories. Listen to Tom Perry, the "Preservation Authority." CLICK on the logo below and enjoy! Over 45 stations across the country from Hawaii to Florida and growing! Scott Fisher: Extreme Genes is a natural for Fisher, a Connecticut native, who has been in radio since his youth, and has spent three decades of spare time as a passionate “roots sleuth.” A long-time morning show host, Fisher is the author of “New York City Methodist Marriages, 1785-1893,” Picton Press, 1994. He has also been published in the New York Genealogical and Biographical Society Journal (April 2004), and Catholic Ancestor, Journal of the Catholic Family History Society of England (June 1996). His ten books on the families of both his and his wife’s ancestors, written over 25 years, fill the better part of a shelf in Fisher’s family room library. In the spring of 2015, the remains of a murder victim, who had been missing since 1983, were found near his home. When local authorities were unable to find next-of-kin, Fisher offered his services, locating family after three dedicated weeks of researching, Facebooking, emailing, and telephoning. The story received national attention, and was written up in People, FoxNews, CBS.com, the 48 Hours Facebook page, and countless newspapers. Where does the name Extreme Genes come from? Fisher explains: “To begin with, Mom was from the Oregon and Dad was from New Jersey. She was a liberal Democrat and he was a conservative Republican. They were both from different religions. As Mom once explained it… ‘Honey, bottom line is… you’ve got extreme genes!’ It’s a perfect name for the radio show!” Fisher and wife Julie have four children, and five grandchildren. Tom Perry: Tom Perry is Extreme Genes’ “Preservation Authority.” He graduated from Brigham Young University with a Bachelor’s Degree in Communications and earned his Audio Engineering & Music Video Certification from Full Sail University in Florida. 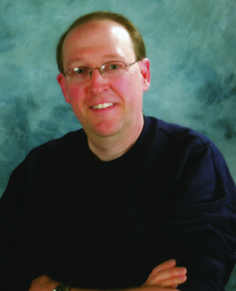 As a youth, Tom was deeply interested in family preservation and documentation, working with his mother doing genealogical research and assisting in his father’s love of photography. 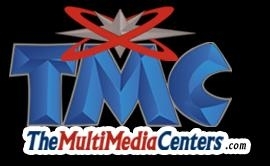 Following in his father’s footsteps in June of 1973, he launched TMP Productions, now know as TMCPlace.com. The enterprise has taken Tom across the United States and throughout Europe and South America consulting, documenting, and preserving memories in various formats as technology has changed and advanced. 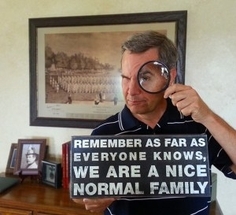 Tom loves to teach, so Extreme Genes is a perfect fit. He enjoys sharing with listeners his expertise and loves helping them to do what they can on their own in preserving their treasures. Looking forward to the day he can travel full time restoring and preserving family treasures around the globe is his ultimate goal. Tom now resides in northern Utah (when not traveling) with his son.